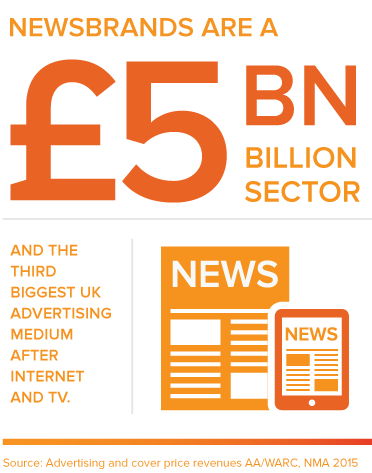 The News Media Association is the voice of national, regional and local news media organisations in the UK – a £5 billion sector read by 48 million adults every month in print and online. The NMA exists to promote the interests of news media publishers to Government, regulatory authorities, industry bodies and other organisations whose work affects the industry. 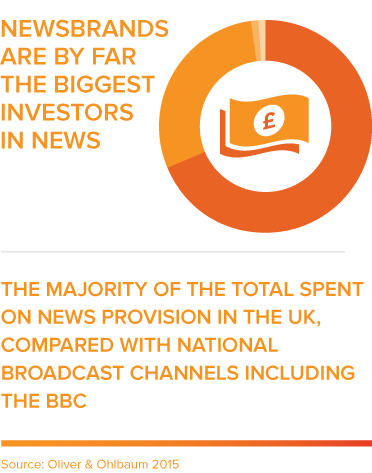 The NMA will serve the shared interests of news media publishers in the UK and protect the general interests of its members in all political, legal and regulatory matters. 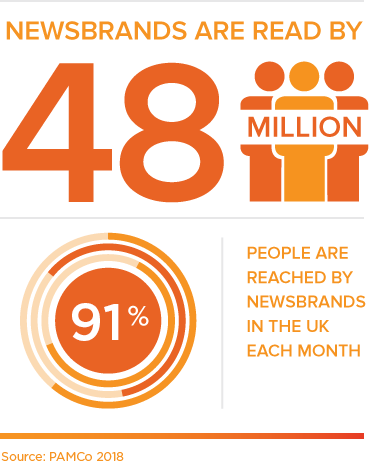 It will promote the efficacy of newsbrands in all their forms as news and marketing media. It will be a source of information on industry issues of general concern to members. It will facilitate the sharing of best practice covering commercial, marketing and technical issues throughout the membership. The NMA was created by the merger of the Newspaper Society and the Newspaper Publishers Association in November 2014. Its services are under the control and guidance of its membership through its committee structure. David is the NMA chief executive. He became Director of the Newspaper Society, regional newspaper trade association, in 1997 and additionally Director of the Newspaper Publishers Association, national newspaper trade association, in 2007. David oversaw the two organisations merge in 2014 to create the NMA and provide a united voice for the news media industry. David sits on industry boards including the World Association of Newspapers and News Publishers, Advertising Standards Board of Finance, and News Media Europe. He is a solicitor and previously was an academic at the University of Leicester and a legal advisor. He is the author of a number of books and articles on Employment Law and Law for Journalists and has received awards for his representational work for the news media industry. David was appointed an OBE in the Queen’s Birthday Honours in June 2017 for services to the newspaper and publishing industries. A former journalist and editor, Lynne is the deputy chief executive of the NMA. Lynne has management and finance responsibilities for the NMA as well as responsibility for an integrated communications strategy, digital media issues, audience measurement and member services. She sits on various industry boards including the Advertising Association, the National Council for the Training of Journalists, ABC and JICREG. Santha is the NMA legal, policy and regulatory affairs director. After reading Jurisprudence at Oxford University she qualified as a barrister, receiving an Entrance Bursary and Harmsworth Scholarship from the Middle Temple. She has previously worked in publishing and written on media law. She has received awards for her representational work on behalf of the news media industry. The Newspaper Organisation Limited, trading as News Media Association, is a private company limited by guarantee registered in England and Wales. Registered office: 2nd Floor, 292 Vauxhall Bridge Road, London, SW1V 1AE. Registered number: 08963259.